It is a fact, yoga increases your flexibility, I have seen this many times in my classes, someone walks in as stiff as an iron board, but after just a few months of practice there is a marked increase in flexibility. But is it just the yoga asana affecting the physical body or are there more behind this sudden change in the body? Sure, it will be fruitless to deny the effect of yoga on the physical body, but I also belief that there is the hidden, unseen part of yoga that affects the body. We all have heard about the Mind-Body connection and especially in alternative medicine this plays a big role. The mind – what we think and feel – affects the health and well-being of the body. My classes are designed to include a little talk on a topic before the class starts, yoga for the mind I like to think of it. I repeat many topics over and over – we need to hear something eight times before it sinks in! Muscle pain after exercises is commonly known as DOMS and it said to be brought about by microdamage in our muscle fibres. Years ago it was thought to have been related to lactic acid but we now know that this is most likely not the case. 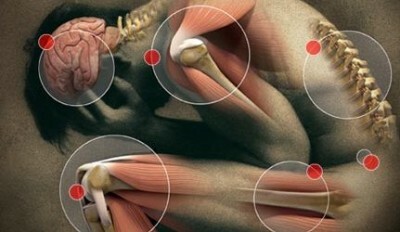 Microdamage is caused when we contract our muscles and the total stress on the muscles is greater than its capacity. In other words, we make a movement and our muscles are not yet strong enough to support the movement fully. With the strain we get microtears in our fibres, causing small amounts of inflammation and other signs of damage. This is one side of the coin. The other side of the coin is that yoga changes our psychology, physiology as well as our mind. In the 8 years that I am teaching yoga, I have heard it many times from my yogis the week after a particularly challenging asana session: I was very stiff, couldn’t get out of bed, but it is was a good one! Or, I can feel it when I skip a week of yoga. For me this is an indication of a body and mind that has started to interact, work together and react on the input of yoga. As the mind is challenged in the class by the talks, sub-consciously people start to adjust, adapt and accommodate different ideas, views and thoughts, so the body starts to follow in its flexibility. However, I have also heard it many times when a yogi complains about not feeling well after a yoga class, or they feel that after a period of great progress they suddenly stagnate of feel that their bodies don’t react well to the yoga. They complain about a general feel of soreness and stiffness and as a teacher I immediately look to myself and my teaching for doing something wrong. And in the beginning of teaching I thought I was doing something wrong. But I soon realise we react to more than just yoga. The death of a parent or friend can affect our mind in such a way that we carry that sadness in our muscles. Or a job loss or change can place undue stress on a body which may cause it to read danger in the situation and react to the stress and the only way is the fight or flight response, which cause the mind to narrow its thinking and the body to tense, getting ready to respond to the “danger” in our lives. Children, marriage, money etc. elicit such emotional reactions from us that they unfortunately do affect the flexibility of the mind and the body. If we refuse to see our part in the problem, or if we feel powerless to change an unhappy union (or don’t want to change it) it all translates eventually to an inflexible body, stiff and inflamed muscles and a body that is less responsive as the mind gets more stuck in a rut. The mind is located in all parts of the body. From the top of our head to tip of our little toe, the brain/mind pretty much runs the show. Science had found there are brain cells located everywhere in the body. So it begs the question: Can a stiff and inflexible body mean a stiff and inflexible mind? I think so. I think our bodies tell us all the time what is going on in the dark, back rooms of our mind. It may not be obvious, but here is an exercise you can do whenever you come up against some physical resistance that may also help you clear mental and emotional “stiffness” as well. If you practice yoga, start doing some of your poses. If you don’t currently practice yoga, just slowly stretch your body in all directions. Move your limbs, your back, your neck, bend forward, backward and side to side. When you feel resistance, imagine that there is also a thought pattern or mindset that is rigid and unmoving. Breathe into that part of your body and see if some new insights come to your mind, as well. Spend a little time there just breathing and feeling the resistance melt away. Keep moving into other areas and breathing as you encounter resistance. You might even find that some emotions start to surface. Listen to your mind talk and see what it is saying. Are you talking to yourself nicely and in an encouraging way or are you being critical or telling yourself that you can’t do this? Use this as an opportunity to release negative mind chatter as well as your tight muscles. As you open and free your muscles to a greater range of motion, imagine that your mind is also opening to new thoughts and ways of being. Expand your range of motion physically, psychically and mentally and watch your life open to new levels of insight and joy. 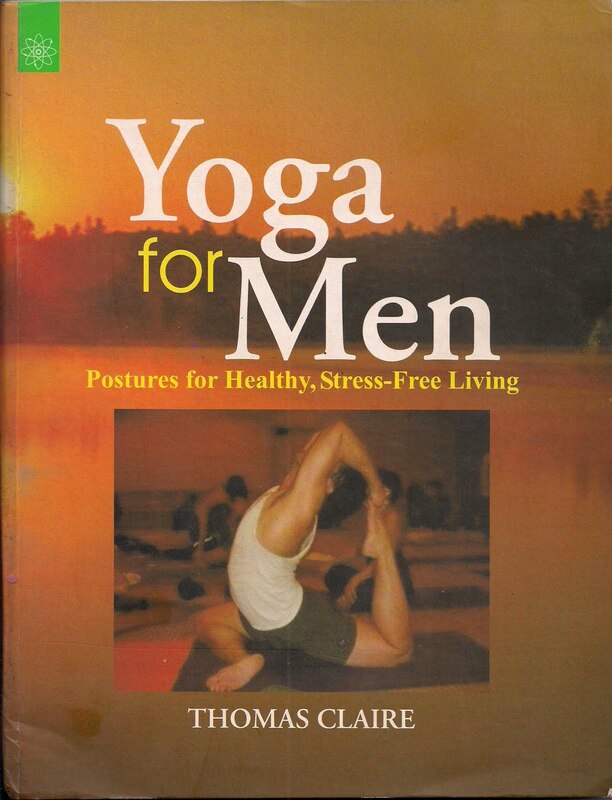 This entry was posted in General Thoughts, Yoga Physiology and tagged advanced, alternative, anxiety, asana, awareness, back ache, back pain, balance, benefits, body, breath, challenges, consciousness, depression, diet, exercise, flexibility, mind, pain, stiffness, Yoga.